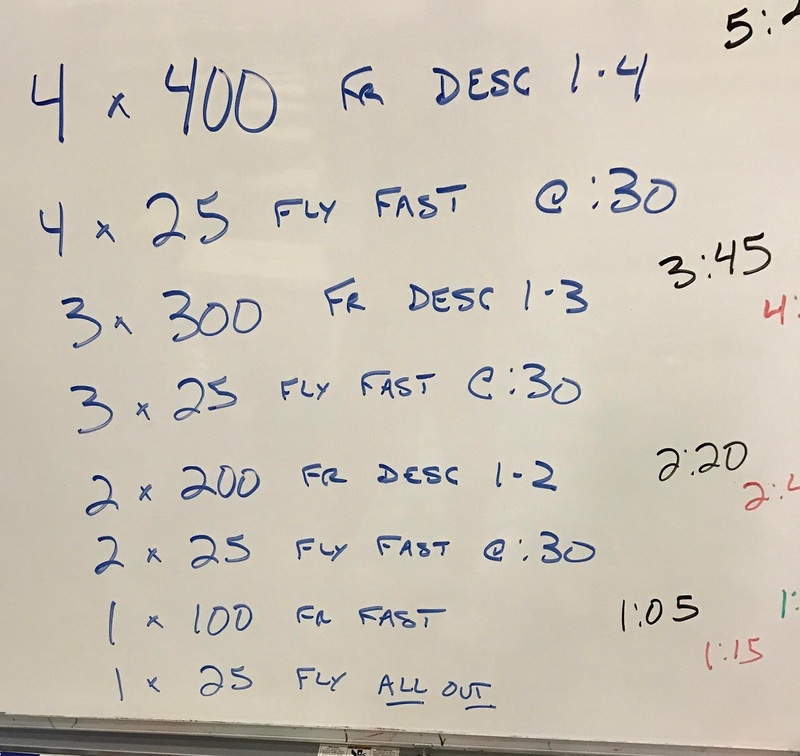 Dive swims we’re focused on front end speed. Push swims were geared toward the middle/back end finishes. Lots of active recovery to give them just enough to get up and go again! We saw some killer speed with this one today. Had a girl breaststroke push a 30.8 on the last 50, a boy flyer push a 23.9, and a couple milers pushing 24s for free! Early season spice with just a touch of fly.